Carte de visite of “WAINO AND PLUTANOR. Aged about 50 years. Weigh 45 pounds each.” E.R. Gard of Chicago backmark. Fine condition. 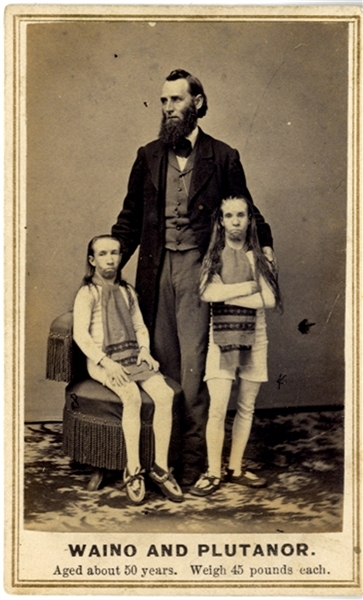 The Wild Men of Borneo, Waino and Plutanor, were a pair of exceptionally strong dwarf brothers who were most famously associated with P. T. Barnum and his freak show exhibitions.